What do two engineering majors with a love of the Canadian Rockies and a lifetime of skiing adventures do when they graduate? Get a high-paying job so they can afford their expensive hobby for the rest of their lives? No! Set up shop making cool custom skis, of course! It may not quite be what Dani Flowerday had in mind when she sent her son Max off to Queens seven years ago. But having grown up spending holidays at Windermere, near Panorama, and skiing weekends at Lake Louise, it isn't all that unlikely. After all, Dani herself just graduated as a Level 2 CSIA ski instructor at Banff Mt Norquay this season. "Ever since Max started skiing at age 3, he's had undying enthusiasm for the sport," says Dani. 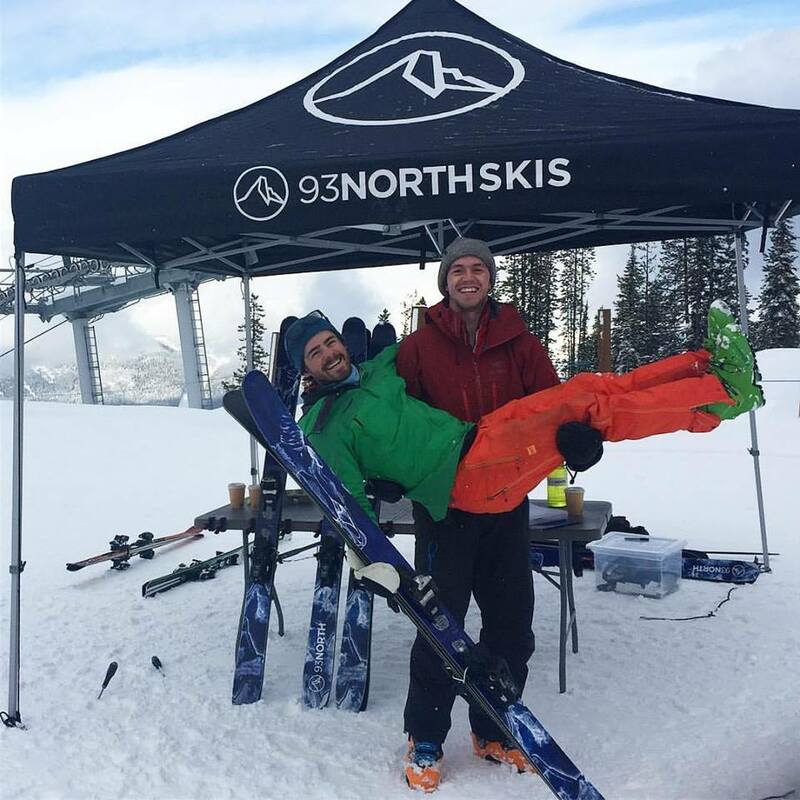 "I have to admit I was skeptical about their business at first but I'm proud of how Max and Sam have worked tirelessly to apply their mechanical engineering abilities and love of skiing to create a beautiful ski. Max and Sam have found a way to follow their passion for skiing and hopefully share it with the world." 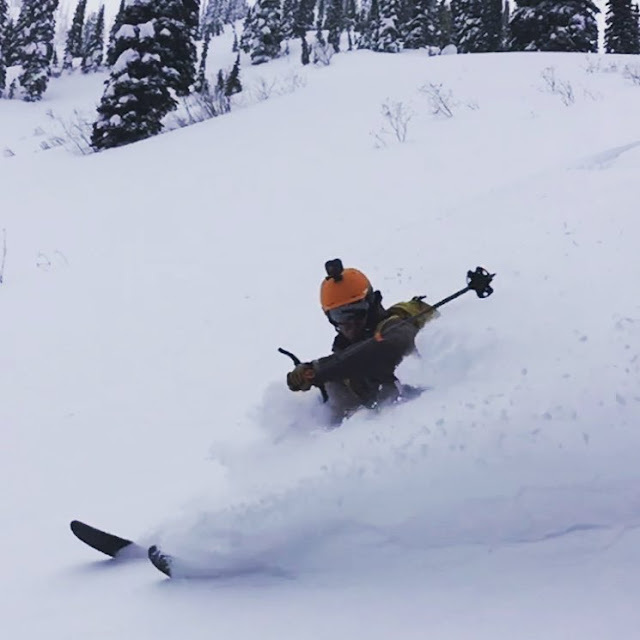 Partnering with fellow engineering grad Sam McEwen, Max says the techie twosome started making skis for themselves while starting jobs in the oil patch: "We are really passionate about skiing and, both coming from an engineering background, we wanted to learn to make skis as a hobby at first. Later it became our idea for a business." They began brainstorming ski construction during a backcountry foray. 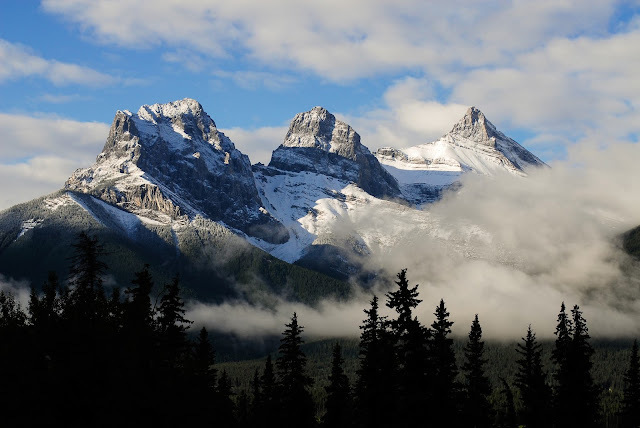 "We went on a backcountry ski trip along the 93 North Highway, the road to the Icefields and Jasper. It was en route to Jasper that we started talking about making skis," says Max. "After that, we slowly built a few pairs in Sam's garage. Later, when we tried them out and found them to be good, we decided to try a business." 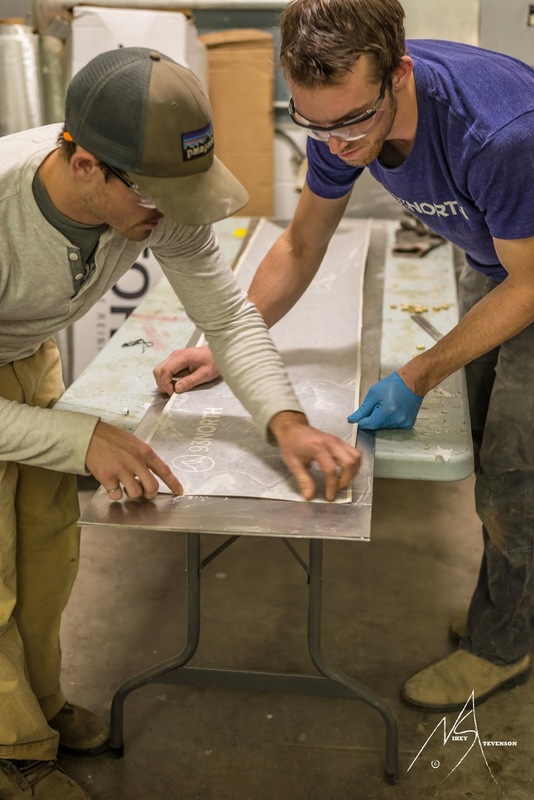 Securing a small business loan has helped the engineering entrepreneurs pay rent, buy materials, and set up a workshop to build 93 North Skis. The loan was intrinsic to giving them "a real chance" says Max: "When an industrial space came up in Canmore, we thought it would be the perfect place to start a ski company and we didn't know of any other active ski building companies in Alberta." And it has paid off as they've sold out most of their inventory this first season. Clientele has been building via their vast family and friends ski network, word of mouth, newspaper articles, and social media marketing via Facebook and Instagram. They have also held very successful ski demos at various ski hills this season including Revelstoke, Lake Louise, Red Mountain, Whistler Blackcomb and Marmot Basin at Jasper. 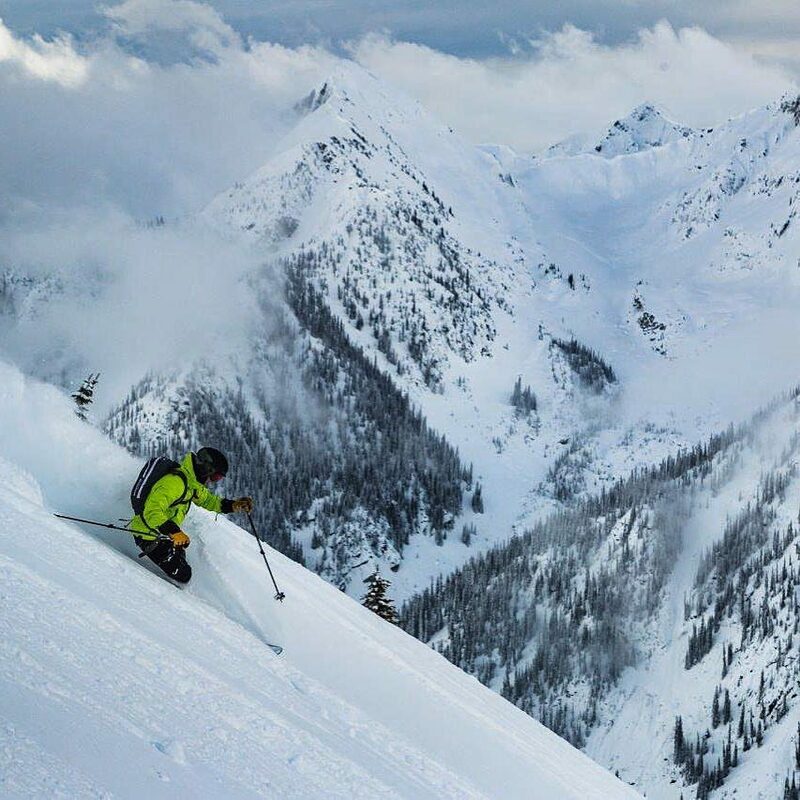 "Ski demos at Lake Louise had a great response, we were able to attend five demo days there this season which was really great," Max enthuses. "But I am just thankful for all for all of the resorts that hosted us." They are hoping to break into the buoyant Banff market too, perhaps with a future demo day at Sunshine Village: “The 93 North Andromeda is designed to perform well on steep off-piste terrain such as Horto’s Revenge found off of the Tee Pee Town chair,” says Sam. Intent on increasing awareness, 93 North took part in an evening event at Alberta's newest brewery, the Canmore Brewing Co, which specializes in creative beers that reflect a commitment to authenticity and respect for tradition. "Our very first Nerd Nite presentation," says Max, who recommends the IPA. Nerd Nite is actually a worldwide organization devoted to bringing together beer buffs with an appetite for learning. 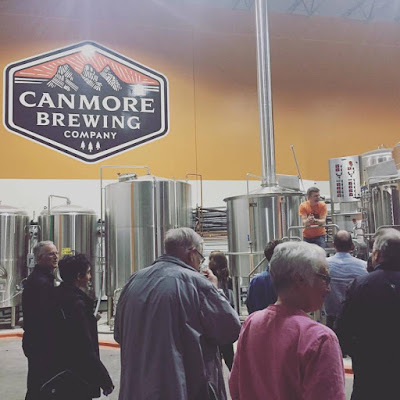 "The boys from 93 North Skis kicked off the preservations with a talk about getting in to the ski business and how they are made," says Susan Dunn, Canmore Brewing Co owner. "We then heard form a biologist in Banff National Park about re-introducing the bison into the park and the logistics involved. My husband, Brian Dunn, ended the evening with a nerdy look at beer making." With 50 participants, proceeds were donated to the Knight's Cabin charity (a taste of cause-related marketing for the fledgling entrepreneurs). "The night was a lot of fun," says Susan. "There were a lot of laughs as the boys from 93 North admitted to skiing naked down a lift line to make a sale in the early days of their start up!" So, apart from the determination to do whatever it takes, what is 93 North's edge over the competition? 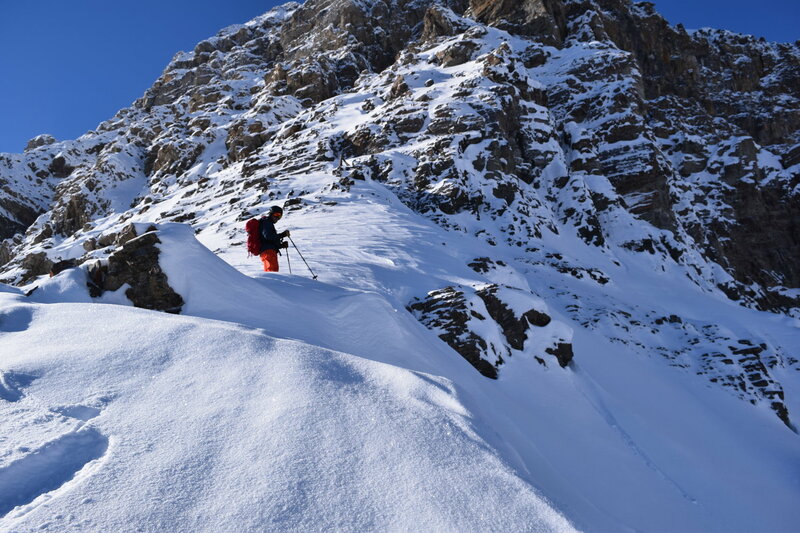 "Our skis are designed specifically for the Rocky Mountains, the area we know so well," says Max. "We make an all-mountain ski for powder and also edge-to-edge transfer for packed runs. Although they are very lightweight for backcountry touring, we want them to be used as a resort ski, too." Using a wood core made from poplar and maple sourced locally, the flagship Andromeda skis are reinforced with carbon fibre. 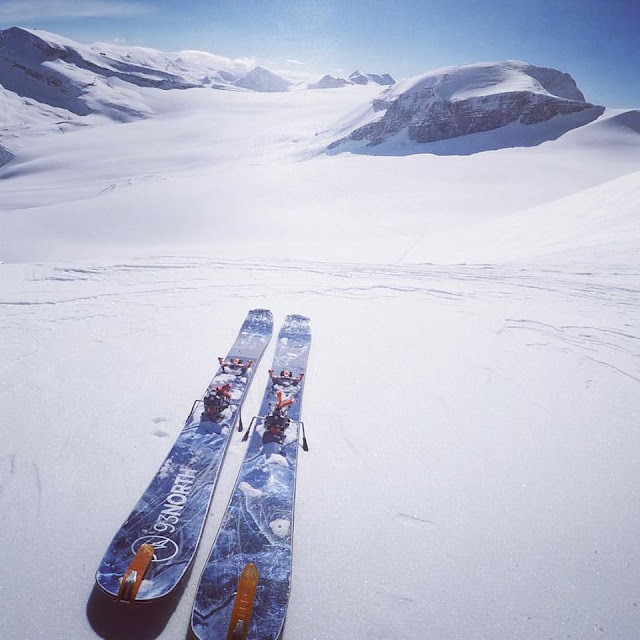 Their website promise: "This ski is a go-getter and the carbon fiber reinforced poplar/maple core is designed specifically to charge through ice and crud. 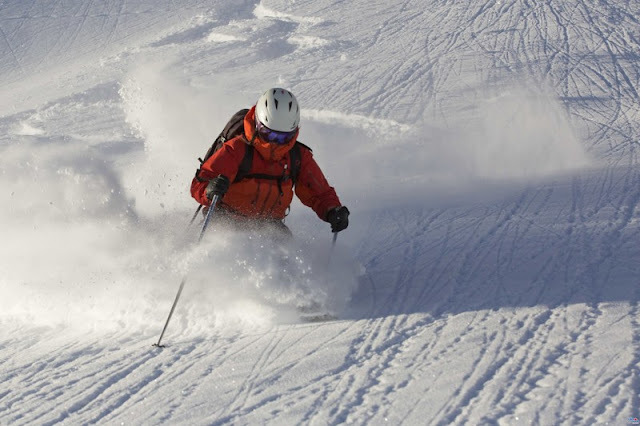 An underfoot width of 104mm along with an early-rise rockered tip makes turns in deeper snow feel effortless." Appealing in particular to Millennials, an important part of these home-honed skis' cachet is the trendy topsheet artwork, courtesy of Calgary artist Emily Beaudoin, who is about to graduate from the University of Victoria (and who, incidentally, went to high school with one of my sons!) Emily's artwork was part of the World Ski and Snowboard Festival in Whistler: "A whirlwind of travelling, printing, framing and finally hanging them all up in the gallery," she told me. "My art is inspired by the mountains and the wildlife that call them home, so it was easy for me to come up with the ram and owl designs," she says. "I do all of the art by hand, and then combine the separate elements in Photoshop to create the topsheets." Emily has recently designed a logo for the London Bicycle Cafe opening in Toronto this summer. 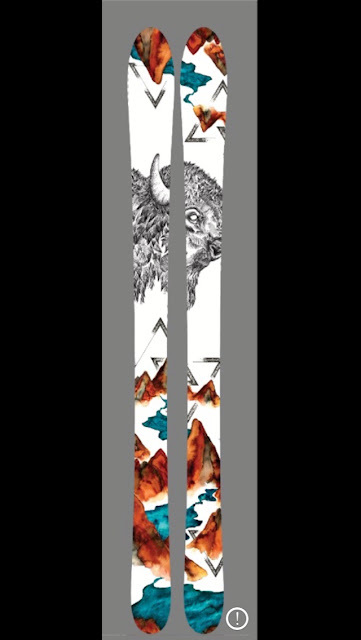 For 93 North, she is already on board for their next batch of skis: "We've just started talking about a third design for their backcountry skis, which will be tested by a few ski guides next year and then sold publicly the following season. I'm thinking of doing something involving an iceberg, but I haven't quite developed the idea fully yet. " This season's skis, available in lengths 175cm and 184cm, cost CAN$795 without bindings and the lads are looking to partner with a ski shop in the future to facilitate that part of the procedure. Next season will see the launch of the 166cm version - possibly the perfect ski for instructor mom, Dani: "I decided that I'm going to wait until next year to try Max's skis because the 175's are really too long for me. Next year they'll have a shorter version of the Andromeda which will be perfect for me - and they'll have a great top sheet design which I love." I'll definitely be trying them out too! 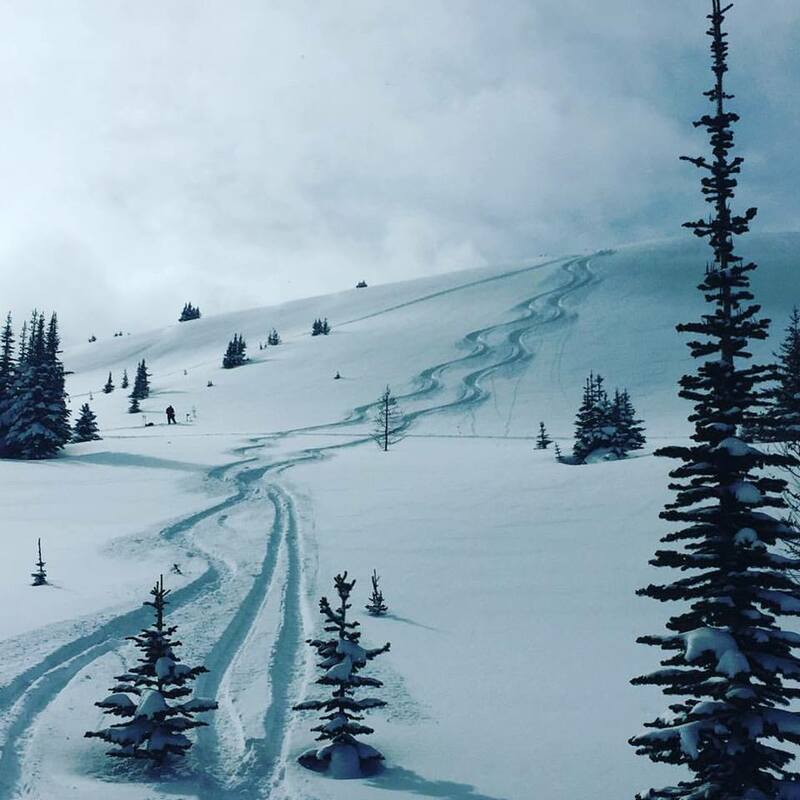 If you're in the Banff Lake Louise area at the moment, you have one last chance to try them out this season at Lake Louise on Saturday (April 29). The flamboyant fatties have been getting many media mentions this season. "Our first season went really well, we have learned so much and people are finally starting to recognize our brand," Max concludes. "CBC, CTV, and Ski Canada and the Rocky Mountain Outlook really helped to raise awareness about our company!" 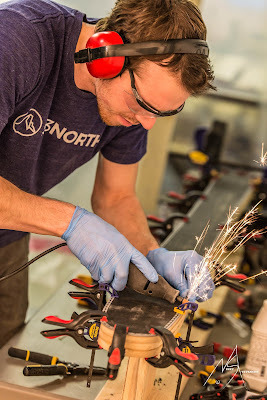 You can read more about them in Ski Canada's SnowOnline News: https://www.skicanada.org/building-new-future/ and in the Rocky Mountain Outlook: http://www.rmoutlook.com/article/Locally-made-skis-now-on-area-slopes-20170112. Also: http://snowsportsculture.com/building-new-future-canmore-entrepreneurs-tackle-ski-industry-one-ski-build-time/ and http://www.cbc.ca/news/canada/calgary/new-canmore-shop-handcrafts-skis-1.3962428.